On the 20th of November 1858, Selma O. L. Lagerlöf was born in Östra Emterwik Värmland, western Sweden. In 1909, she was famously the first ever female writer to win the Nobel Prize in Literature and is perhaps best known for her children’s book The Wonderful Adventures of Nils Holgersson (1906). In 1914, she also became a member of the Swedish Academy and at the start of WWII, she notably sent her Nobel and Swedish Academy gold medals to the Finnish government in aid of their fight against the Soviet Union. Jennifer Watson who wrote Selma Lagerlöf and Germany (2004), observed that Selma realised early on the absence of female writers as role models in early 20th century Sweden and the fact that she had to, at least literally, please the men who would determine whether she would be a success or not. Having suffered childhood paralysis and an abusive alcoholic father, Selma succeeded against all odds: her love of reading, her ambition to train as a teacher and her vivid imagination propulsed her career forward. On the surface, a stern spinster, a chaste virgin, or “Snow Queen” as she was called during her life, she proved everyone wrong when her intimate correspondences – which she had asked to be made public only 50 years after her death – revealed a colourful hidden love life. As early as 1942, biographer Elin Wägner emphasized the importance of friendships with women in Lagerlöf’s life. Finally published in 1990, her enormous collection of private letters, notable amongst which Lagerlöf’s letters to Sophie Elkan, Du lär mig att bli fri (You Teach Me to Be Free) tell a passionate love story that began in 1894 continuing until Elkan’s death in 1921. “You are very beautiful and I know we will be friends.” – thus began their 27 year-long relationship. Elkan, née Salomon, belonged to a prominent Jewish Gothenburg family and had lost her husband and small daughter ten years before to tuberculosis. She mastered several languages and was extremely well-read. 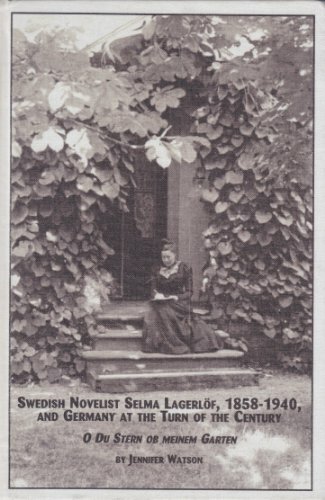 Elkan accompanied Lagerlöf on trips to Italy, Jerusalem, and Egypt and Selma dedicated her novel Jerusalem (1901) to her “companion in life and letters.” Elin Wägner wrote in 1942 that, “the contact Selma had in her intellectual life was with men in their masterpieces, and with women in daily life. She satisfied her wanderlust in unbroken communion with her new friend. It is not difficult to see the two friends on the first great voyage (to Rome). There we have Sophie with frizzy hair, feminine in fluttering dresses, with lively dark eyes.observing everything and with a flowing tongue making rapid observations. Selma following after Sophie, her face having retained some of its youthful angularity and freshness, though she had just turned thirty-seven. The Italians stared at her awkward attire and and her short hair which made her look like a newly released convict.” There seemed to be a strong visual disparity between the lovers and they were possibly opposites being drawn to each other. Whilst continuing her affair with Selma, Sophie was also meant to be dating a married man in Belgium. To complete the triangle, Selma was linked with Valborg Olander, whom she met in 1898 and who became her other long-lasting love. Valborg became Elkan’s rival and her contact with Selma caused scenes of jealousy according to the letters. Olander was in many ways the opposite of Sophie: a grounded woman who taught at the teacher’s college in Falun, was chairman of the local branch of Swedish Society for Woman Suffrage in Falun in 1905 and its representative in its national central committee, but also textbook writer who published works about the Swedish language with the linguist professor Gustaf Cederschiöld. Selma wrote to her, “I promise you no faith at all, I just wish and hope that this might be the life out … I wish we did not have to be sensible, that all men bore to hearing that we hold one of another …” ( From a letter to Valborg Olander 12.7 in 1902). So, Selma was far from being the asexual studious spinster that she portrayed to the world; she was in fact two-timing her girlfriends and finding it hard to choose between them. Sophie was all passion and risk and temper flares, whilst Valborg offered Selma security and grounding. The relationships of Selma Lagerlöf were portrayed in a TV Series written by Åsa Lantz in 2008. In one of her letters, Selma recalled noticing “so many relationships between women (in Copenhagen), that I must try to get to the bottom of what nature wants with the us; why would you not be able to love any person in equal measure?”. It would appear that her sexuality was causing the writer to be reflective and her work was affected by it too. Love threatened by external circumstances is a recurrent motif in Lagerlöf’s novels, such as Gosta Berling’s Saga, Jerusalem, Skidder, Charlotte Löwensköld and Anna in which there is a constant danger of love being shattered. Although all her romances are heterosexual, they often seem to revolve around conflicting, ambivalent issues of love and surpassing obstacles in the way of happiness. Lagerlöf’s sexuality also affected the way in which she constructed her male and female protagonists. 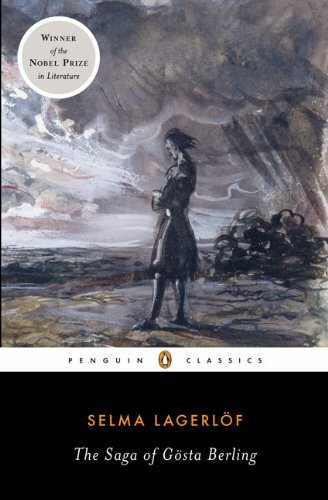 One recurrent theme in her work was that of the pitiful man, perhaps harking back to the memory of her own father. Kerstin Munck wrote that, “Unlike in other parts of Europe, the 1864 Swedish law against homosexuality included women. Homosexual relations between consenting adults were not legalized until four years after Lagerlöf’s death.” So it is understandable why Lagerlöf requested her correspondence to be kept private for 50 years following her death, perhaps in the hope that one day they may be read by a more tolerant society. This is so interesting, and would obviously contribute to a further consideration of queer theory and gender studies! Sad to hear that Sweden were so against homosexuality though! Thanks, yes, this is just a snippet of the bigger picture. I’m sure it wasn’t easy back then even in the Scandinavian countries, which now we consider most sexually liberated. I came across your blog, as mine is housed on wordpress as well – castawaywithme.blog I love your content! I’m writing because I’ve got an awesome opportunity for you! Please send me an email at cassi@holonis.com if you’re interested!